with a sponsorship at this year’s Global Pet Expo. 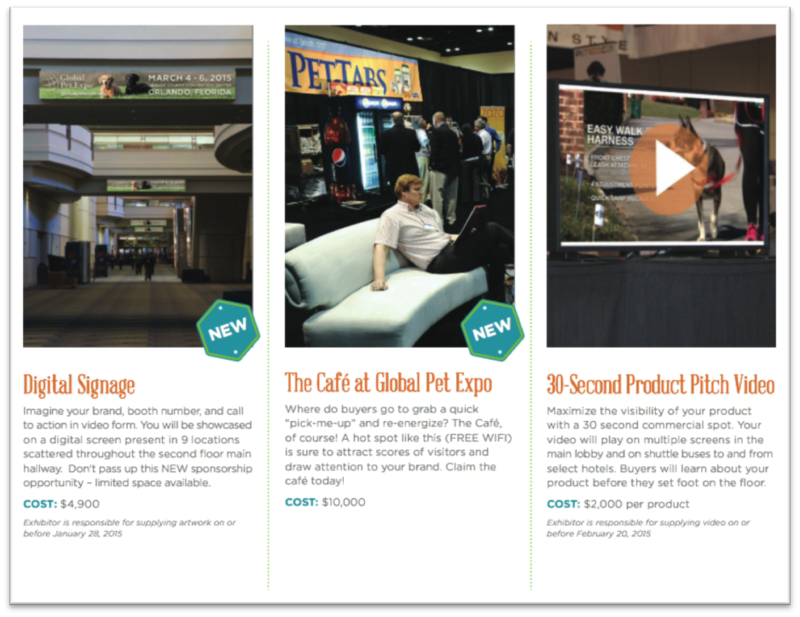 In a post-show survey, 70% of Global Pet Expo buyers told us they recognized exhibitors from their sponsorships. Don’t miss your chance to be a recognizable business at this year’s event. With a dozen different sponsorship choices available, we offer something for every business. Here are just a few of our sponsorship options below. Visit this link for full list of opportunities. Complete and return the Sponsorship Agreement Form. For more information, contact Marian Thielsen via phone at (203) 532-3601 or via email at mthielsen@americanpetproducts.org or Josh Vetere via phone at (203) 532-3652 or via email at jvetere@americanpetproducts.org. 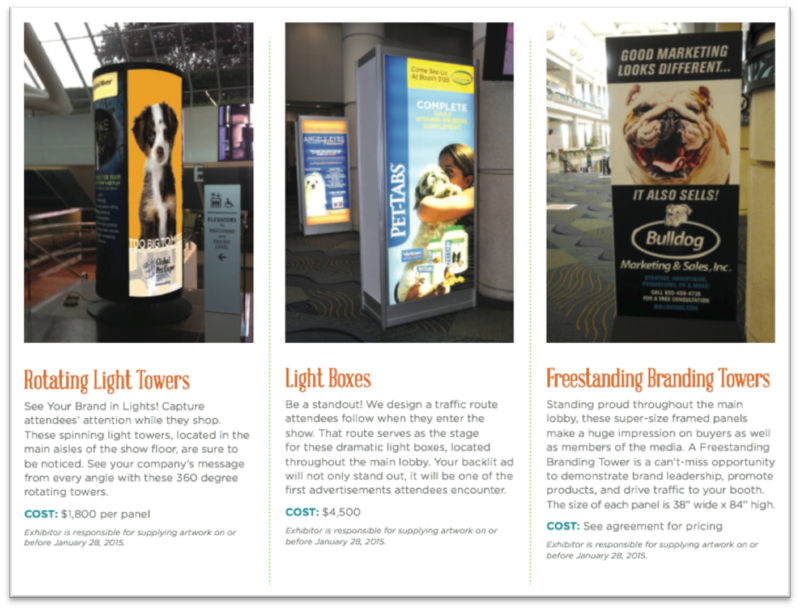 This entry was posted in Exhibitor Information, Global Pet Expo 2015 and tagged Brand Awareness, Global Pet Expo 2015, Sponsorhips. Bookmark the permalink. ← New Year, New Product? Make Sure To Launch It At Global Pet Expo!